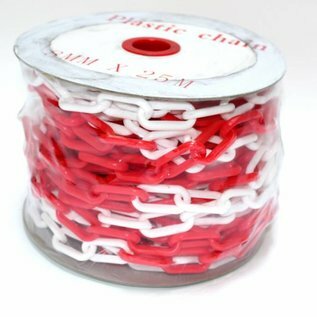 Heavy duty plastic chain on a 25 m bobin. 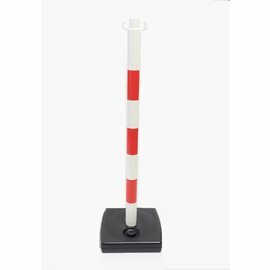 Great for marking zones or paths quickly and visibly. 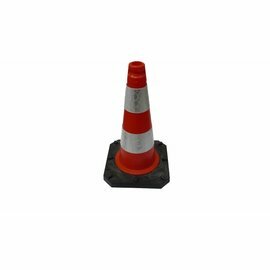 Can be used on cones and pickets. Red/White or Yellow/Black. 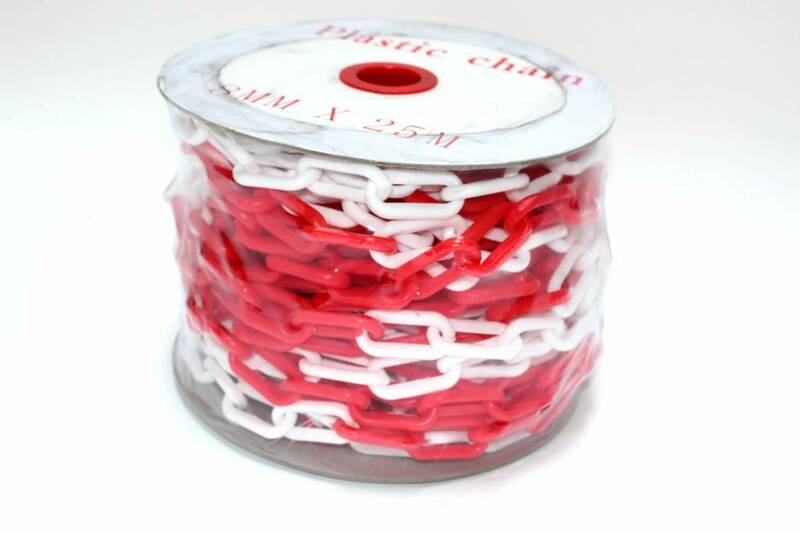 Our plastic chain is the ideal way to temporarily or permanently close off an area on the shop floor, in a trade fair or on a construction site for passersby or unauthorized persons in a fast and efficient manner. 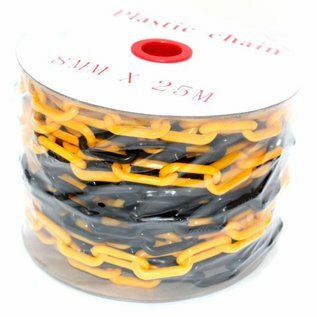 With a few cones; chain hooks and this PVC chain this only takes a few minutes. Chain posts or simple pickets can be used as well. A PVC chain also comes in handy at car parks or events. You can use them, for example, to close a passage, but also to guide visitors to the correct entrance at your event. 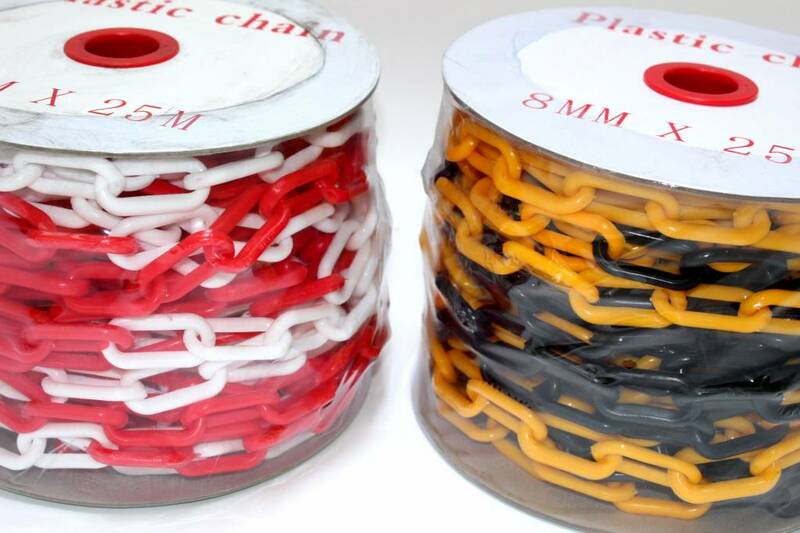 Traffic-shop has PVC chains on rolls of 25m with a diameter of 6 mm or 8 mm. They are always in stock in red/white and yellow/black. 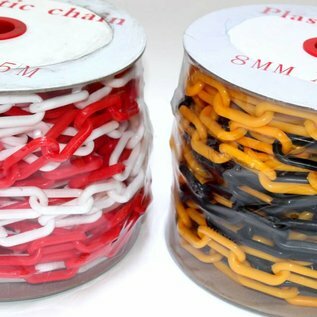 The colors on the chainlinks alternate to increase the visibility. We believe that chains made of plastic are better suited for indoor and outdoor use than metal chains: they do not rust, are less heavy but equally strong and reduce the risk of injuries. 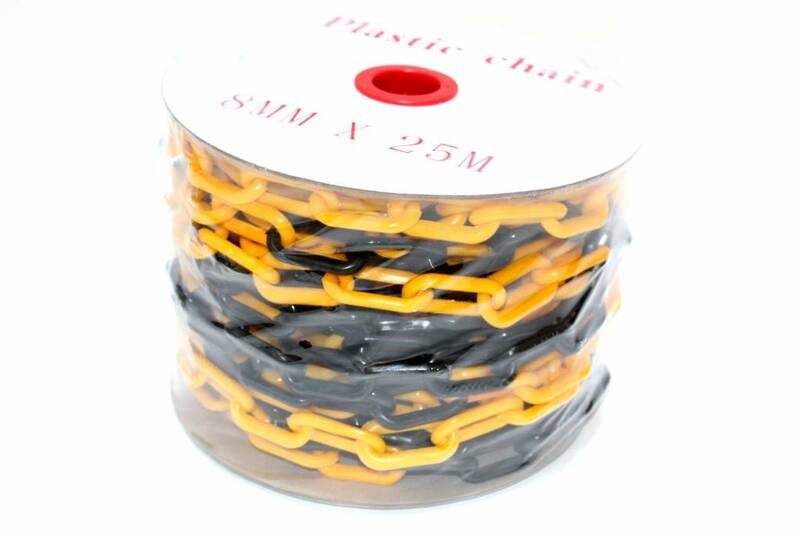 Our plastic chains are resistant to all weather conditions. Thanks to the handy bobbin, unrolling and rolling up is child's play. 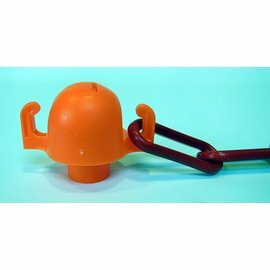 With its 25 cm diameter, a roll takes up little space when the chain is not in use. The bobbin with Ø 8 mm chain weighs just 2.75 kg. You may need chains of different lengths. With a hacksaw or sturdy cutting pliers it will only take a few seconds. You can still perfectly roll up the different lengths on the reel. 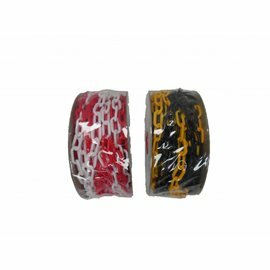 With its light weight and alternating colors, our plastic chain always comes in handy.